As women who are entrepreneurs, wives, mothers, partners and friends we don’t often get the opportunity to take time out and reflect on ourselves in life and in our business. Our roles are varied and require our full attention to ensure we keep things on track. It is important that as a female entrepreneur you take time for self-reflection, giving you the space to review, rethink and adjust. We know your time is precious, but, we also know that you are precious. How about taking just 2/3 days out of your busy schedule to re-energise and re-focus? Yes, just two/three day’s out of 365 to focus on you! 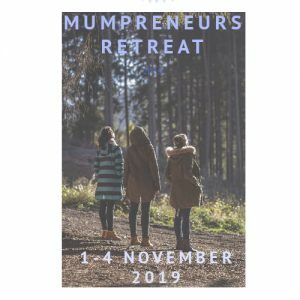 Where you can meet like minded business women, spend time being pampered, reflect on your life and business in a relaxing setting whilst building your networth with minimum effort. We’ve organised it, you just need to turn up and enjoy it. Spaces are limited and will be allocated on a first come, first served basis. Option to arrive on Friday night and leave on Monday at no extra cost. £350pp or bring a friend to share your room and receive a discount of £50pp. Deposit of £50 to secure your place, then full payment by 25th October 2019. Payment Plans are available from just £10 per week. You can find out more about how our first retreat went here on the testimonials page.